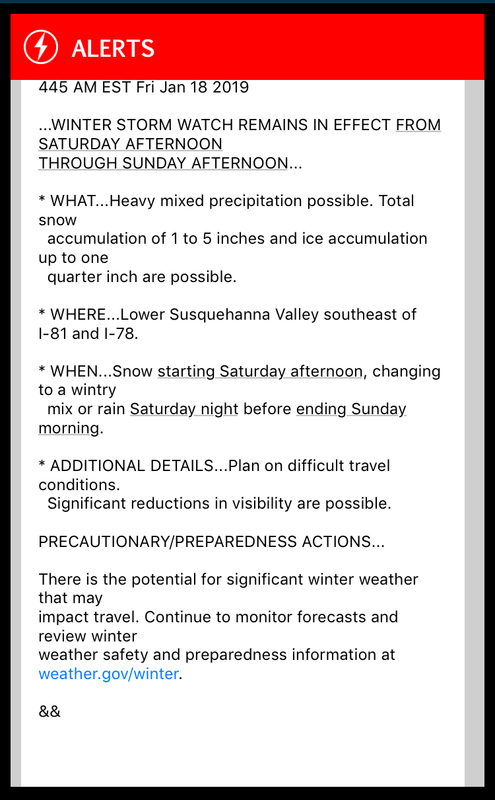 This is not the worst winter storm we've ever had, but I thought I would share five ways we are preparing for this storm. 1. Heat - Our power lines are buried where we live but we have lost power before due to something happening 'downline' some where. We'll be able to stay warm by using our wood stove in the basement. It heats the house well and we also are able to heat water and do some basic cooking on its top. 2. Water - We have a well, so we'll be filling some gallon water jugs to insure we have enough drinking water. For flushing toilets, we can fill a huge bathtub and use buckets to flush, or we can melt snow and use that. 3. Food - Like I mentioned above, we can cook on the flat surface of our woodstove if necessary, but I will also insure I have foods that do not need to be cooked, and also by preparing food ahead that could be reheated on the woodstove. 4. Light - We have camping lanterns that work on small propane bottles, and give off a lot of light. We also have candles, and flashlights. 5. Power - We have my dad's old generator, but if that won't start, it doesn't matter. We've never had a generator before anyway! We just make sure that our battery operated items are charged well, and we have chargers for the vehicles so we can take phones out to the van or Tahoe to charge them. We also have extra batteries for other household items. We should be all ready to hunker down by the time the storm arrives tomorrow. Sarah works until early afternoon tomorrow and hopefully she'll be home before the roads get too bad! Rachel is going to be affected by this storm too, but with much worse conditions than here. Thankful that her campus is supplied with everything they need. As I said to someone yesterday, winter has finally arrived! It sounds like you are well prepared and know what to do in the event of a storm. Praying that you all remain warm and safe. 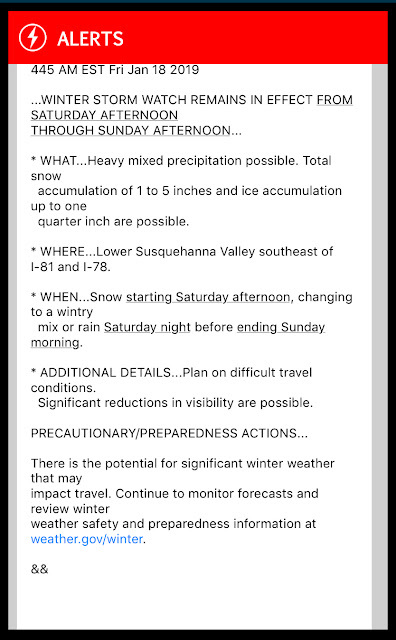 Predictions for here are from 14 to 18 inches of snow starting tonight and then all day Sunday. Sounds like it could be quite a storm. Well, I can't complain about my weather when you all are getting REAL WINTER:) Enjoy being inside where it is warm. HUGS!